The axis of rotation of Uranus is quite unique in the solar system. This is most likely the result of a collision very early in the planet’s history, or several collisions. But it is difficult to explain that not only the planet has tilted, its moons and rings are also inclined. Only simulations can try to solve this mystery. Several models are competing to explain this anomaly. The most common model explains this feature by one or more cataclysmic collisions. While the moons of Uranus were not yet formed, Uranus was surrounded by a kind of proto-lunar disk. The impacts would have dispersed this disk which would then have formed along the new equatorial plane of the planet, enriched by the ejectas resulting from the impact. This model explains the axis of rotation of the planet. But new questions arise : if Uranus has been hit so violently, why its orbit around the sun is still almost circular ? 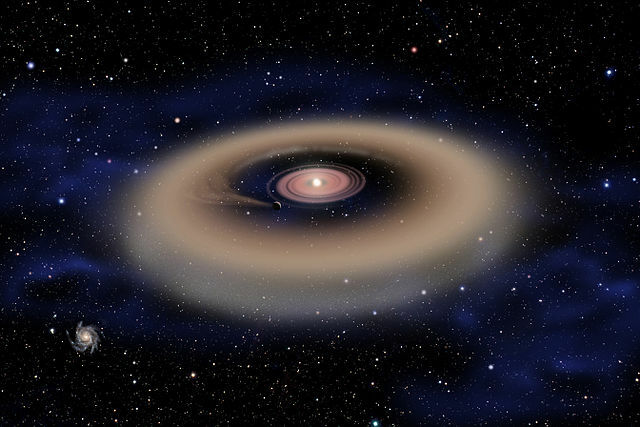 This scenario also suggests that massive impacts on giant planets were common. But it seems that only Uranus is so inclined in the solar system. 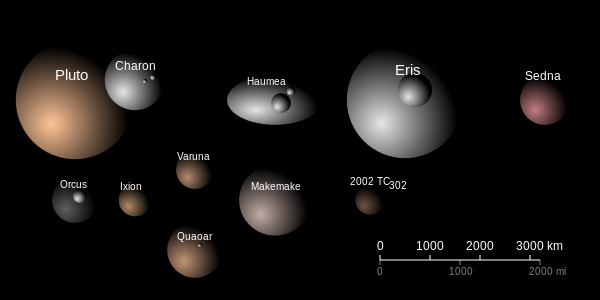 Like Neptune, Uranus is an ice giant. It is 15 times the mass of the Earth and has a diameter of 50,000 kilometers. The days on Uranus last about 16 or 17 hours. However, they are a little peculiar. The planet is inclined at 90 degrees on its axis of rotation. It looks like it rolls on its orbit. Its poles thus successively face the sun. Each hemisphere has a 42-year day followed by a 42-year-old night. The temperature of Uranus is very cold, we have already measured a temperature of -224 degrees Celsius in the atmosphere of Uranus. We do not know Uranus well. Sending a space probe near Uranus is possible, but very expensive because of the great distance that separates Uranus from the Earth. The ideal launch window to benefit from Jupiter’s gravitational assistance and reach Uranus is between 2029 and 2030. A travel to Uranus should be possible with chemical propulsion. 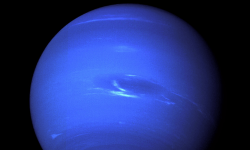 It is also likely that such a mission is coupled with a mission to Neptune. In the early 2020s, NASA will set its priorities for the next 10 years, so we will know if exploration of Uranus and Neptune is planned.